LEE is an instrument which measures the energy spectrum of comic ray electrons. In the picture at left we can see a scheme of it (click to enlarge). It detects incoming electrons with 3 plastic scintillators (T1, T3 and G in the drawing) the last one for anticoincidence and a gas Cherenkov detector (T2). It measures the electron energy in a cesium iodide (T4) and leadglass (T5) calorimeter. Another Scintillator (T6) also assists in particle identification and energy determination by counting the number of particles that escape the calorimeter. The observations from LEE provide one of the few more precise measurements of the electron spectrum over an extended period of time. The balloon was launched by dynamic method assisted by a launch crane on August 25th. After a nominal ascent phase the balloon reached the float altitude of 49.4 km and started a flight path due to the west as can be seen in the map at left (click to enlarge). During the flight the balloon mantained a flight level of ~ 49 km until after near 23 hours of flight it was terminated. The payload landed near the city of Fort McMurray, in Alberta, Canada. Besides the LEE instrument, this flight was mainly focused on testing a new balloon of a kind known as Ultra-High Altitude Balloon (UHAB). These vehicles allow to take payloads approaching 900-1,000 kg to altitudes in excess of 45 km using traditional zero-pressure designs. 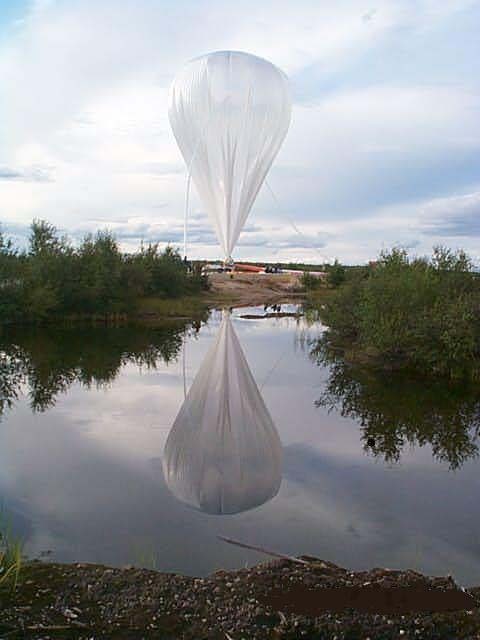 In addition to providing unprecedented altitudes from which to make scientific observations, the UHAB also opens new avenues for long duration ballooning at mid-latitudes. With altitude excursions of 10-12 km, these balloons will be able to execute long duration flights without the need for large quantities of ballast. If augmented by a small superpressure anchor balloon, the altitude excursions could be kept to a minimum. While not as capable as the ULDB in carrying large payloads, the UHAB would add another capability for scientists with relatively light payloads who desire to maximize mission time and altitude. 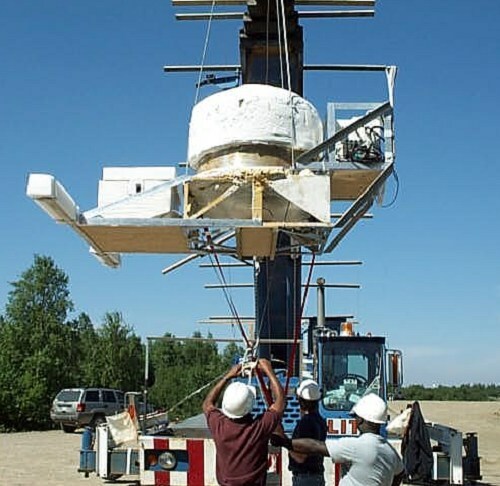 The development started in March, 2002, when NASA requested that Raven Industries perform a study on a series of ultra-high altitude zero pressure balloon platforms. After analyzing several load-altitude targets, NASA chose a 1.7 million cubic meter (60 million cubic feet) design with an ultimate payload capacity of 750 kg. While the balloon was designed using traditional zero-pressure techniques, the shell and cap material was chosen to be Stratofilm-430 (which was based upon the Stratofilm-420 developed for the ULDB program) a three-layer co-extruded film using the same resins as Stratofilm-420. The total film thickness is 10.2µ for the shell and 13.2µ for each of the two cap layers. Compared to traditional zeropressure balloon film, the Stratofilm-430 has higher strength and ductility at normal surface temperatures, making the shell better able to withstand dynamic launch loads. Production of the balloon, unofficially christened the ''Big 60�, required some minor rearrangement of production space to accommodate the almost 230 meter gore length. Fabrication of the balloon was relatively straightforward and uneventful due to its similarity to standard zeropressure designs. Because of the delicate film, special considerations were made for the processes of expelling excess air and loading the balloon. 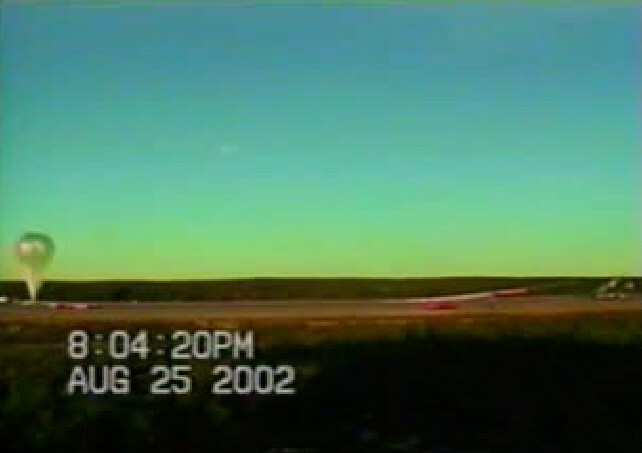 The first test conducted during the summer 2002 campaign at Lynn Lake was uneventfull. After a successfull launch the balloon climbed to a peak altitude of 49.4 km, and was terminated normally after approximately 23 hours of flight time. This was the largest balloon ever successfully flown, setting a new world record that remained unbeated from 1975.